According to the Ellis Island website, during the late 1800’s, “as long as an immigrant’s papers were in order and they were in reasonably good health, the Ellis Island inspection process would last approximately three to five hours.” In today’s information age, it only takes around 10 years. While the U.S. has historically and famously been a nation of immigrants, few know the details of how the U.S. brings in foreigners now. How many become citizens each year? Where do they live in the U.S.? 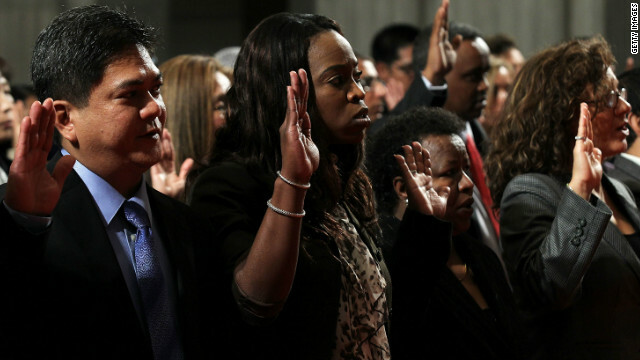 Which country or origin leads for new American citizens? In May, counter-demonstrators, above, stand near police barricades as a far-right, anti-Islam political party protests outside a mosque in Germany. Editor's note: Jonathan Laurence is associate professor of political science at Boston College and a Nonresident Senior Fellow at the Brookings Institution. He is the author of "The Emancipation of Europe’s Muslims." The opinions expressed in this commentary are solely those of Jonathan Laurence. Last month saw a series of riots in Europe, not over the wobbly Euro, but instead over the integration of Muslim Europeans and immigrants. 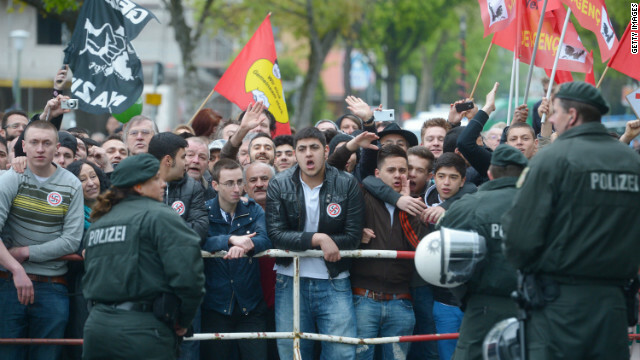 In Bonn, hundreds of German Muslims clashed with police in a violent reaction to a far-right political party’s anti-Muslim gathering. The angry young men who chanted “God is Great” while battling police in the streets have reignited the ongoing debate over Islam’s place in Europe, a debate which has risen to the top of many politicians’ concerns. The German president said in a newspaper interview that while German Muslims clearly “belong” to the country, it is less clear whether or not Islam does. 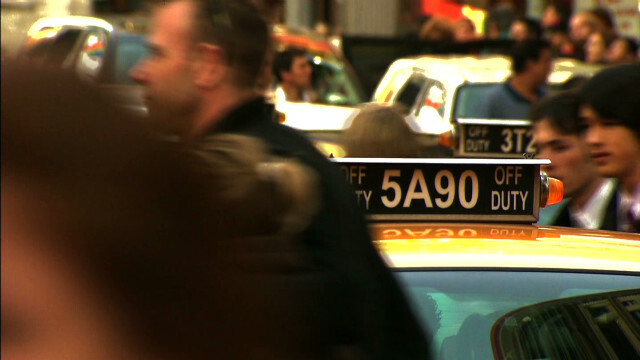 A prime-time special: "Global Lessons: The GPS Roadmap for Making Immigration Work" debuts on CNN at 8 p.m. ET on Sunday, June 10. As the American economy sags, the race for the presidency gets tighter - except in one dimension. Hispanic Americans continue to support Barack Obama by an astonishing 61%-to-27% margin. 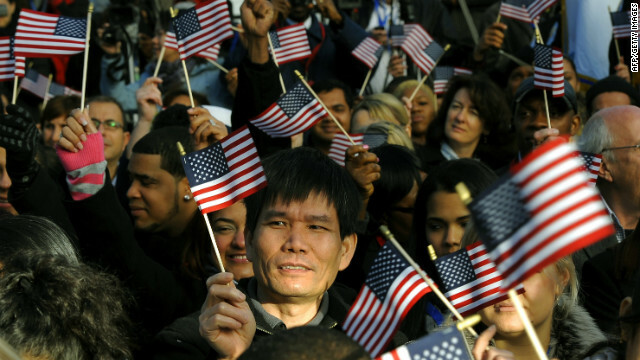 Were Obama to win, it might well be because of his attitudes on one issue: immigration. But it is an issue on which he will be unable to enact any of his preferences, let alone those policies that many Latinos support. The Republican Party has taken a tough stand on the topic. Democrats have their own bright lines. That means America's immigration system is likely to stay as it is right now - utterly broken. We think of ourselves as the world's great immigrant society, and of course, for most of the country's history, that has been true. But something fascinating has happened over the past two decades. Other countries have been transforming themselves into immigrant societies, adopting many of America's best ideas and even improving on them. The result: the U.S. is not as exceptional as it once was, and its immigration advantage is lessening. Few topics are more provocative than immigration. In this special, I look around the world for insightful immigration policies in Japan, Europe, and Canada – and explore what the United States can learn from each. America is an immigrant society. What I was struck by, though, was a lot of other countries have learned our tricks and bettered them. So, did you know, for example, that Canada has more foreign-born nationals than we do? And Australia has more immigrants than we do? Those societies have become, in 10 or 15 years, genuinely pluralistic, diverse immigrant societies. And here's the kicker: They have figured out a way to do immigration right, where they take smart, hardworking, talented people whom their economy needs. In the Sunday special, we look at these lessons. Also joining me are two thought leaders on immigration politics and policy – New York City Mayor Michael Bloomberg (I-NY) and Kansas Secretary of State Kris Kobach (R-KS).